If you have grass, we can help! We offer a variety of different lawn services. Whether you need fertilization, insecticide, weed control, fungus control or all in one, we have the right program for you. 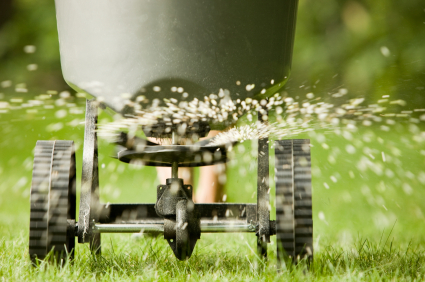 At one time or another most lawns will experience some problems with chinch bugs, mole crickets, weeds, fungi, grubs and a variety of other insects and diseases. Let Venice Pest Control make it easy to have that beautiful lawn. Trees, Palms, Ornamentals, Citrus: Our program includes fertilization, insecticide and fungus control to help maintain the life and appearance of your landscape. Fleas or Ticks: We can get rid of them! We suggest two lawn application treatments 14 days apart. To prevent them from returning, we offer an every other month insecticide service. Fire ants can be a thing of the past, with an annual insecticide application, using TopChoice. It is the only product that is guaranteed to rid your lawn of fire ants for one full year. Call us today for a free lawn, ornamental, analysis and consultation, tailored to your specific needs.